It’s the modern way. There’s just too much to do today that should have been done yesterday and as for tomorrow…don’t ask! Truth is, most of us would like to be less tired, stressed and worried. But there’s a missing ingredient”¦. And exercise is probably part of the answer. And healthy eating. And the perfect lifestyle. But that brings with it more stress, more worry. The trouble is, the world is screaming at you about all the things you need to do to live longer and happier that it’s having the opposite effect. So I’m going to whisper an alternative suggestion here instead: Tell the world and all it’s problems to take a hike for a moment. You’ve got stuff to be thankful for. Because ridiculously the answer I’ve found is gratitude. And even as I wrote that I groaned, because you probably did when you read it. Gratitude’s been touted as the magic pill, the cure-all, the ultimate answer to”¦ everything. And the latest fad, like hot yoga or coconut oil. But gratitude is no fad. It’s been here since people existed. Why because it works. it’s honestly life-changing in so may different areas. Here’s three that will help you live longer and happier ““ without the stress and worry. 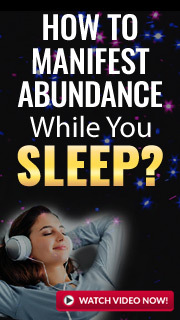 Have you ever investigated what your body is busy doing while you’re asleep? It’s fascinating! And incredible. It’s also essential to you being happy, healthy, effective and safe. While you’re slumbering deeply, riding a unicorn across a marshmallow ocean, your body is super busy preparing you for tomorrow and the coming weeks too. Blissfully slumbering, parts of you are restoring, boosting and repairing the ones you overworked getting through your busy, hectic day. Your tissues grow and repair. Your energy levels are restored. Your immune system is boosted and 11 separate glands release hormones to regulate your vital internal processes like metabolism. insufficient or poor quality sleep negatively impacts all that essential work taking place. It might sound unlikely but research studies have shown that people who keep a Gratitude Journal and practice gratitude experience better sleep. Being thankful can give you more than just a good night’s rest. It can contribute to you being alert, positive and energetic throughout the day. What a great recipe for succeeding in life! Why not sleep on the idea? Smart phone, iphone, dumb phone, you don’t need it. Your brain is the ultimate moment capturer. It takes thousands of mental snapshots every day. But you’d only snap the good times out of choice, right? You want a memory album overflowing with positive, happy events; of occasions when you felt so great you wished that time would never end. A mental store of the best days of your life to revisit time and again. That’s where having the Gratitude habit works its incredible magic. By regularly recognizing things you are thankful for as part of your daily routine, you’ll reinforce those positive, happy memories. You’ll store more “˜good memories’ because you’re focusing on what you are thankful for. Just as your favorite sweater is always on top in your drawer, the things that bring you joy, peace of mind and happiness will be at the forefront of your thoughts. With the Gratitude habit, you will be able to recall more positive memories and gain closure of upsetting ones. It can even transform some neutral memories into positive ones. Create a memory album bursting with all the sunshine in your life through Gratitude. None of us have a crystal ball to tell us exactly how long we’ll be around on this amazing planet. But thankfully, we’ve learned a great many things to help us stick around as long as possible, as healthily as possible. And it’s not just medical advancements we have to be grateful for. Food production, environmental, hygiene and safety improvements also mean we have a better chance of reaching our twilight years in good shape and in one piece. Add to that any combination of good genes, good self-care routines or just jolly good luck and our “˜long life’ odds are looking pretty good. That sounds like sales hype, I know, only there’s nothing to buy here . But it’s true. Research shows that keeping a gratitude journal can result in greater optimism with a 5-15% increase. Optimistic people can live up to 7 years longer. And what could be better than more years filled with the joy of appreciating all the blessings, luck and good fortune in our lives? There’s no magic wand on offer at the end of this article, sorry. Feeling less tired, stressed and worried takes time. And effort. But it the process doesn’t have to add to the problem. So tell the world to take a hike for a while and get yourself a good old fashioned dose of gratitude. It might just be the missing ingredient to a longer and happier life. Laura Tong is a regular contributor on The Huff Post and other top blogs. Laura's latest book, The Life-Changing Power of Gratitude is available on Amazon here.